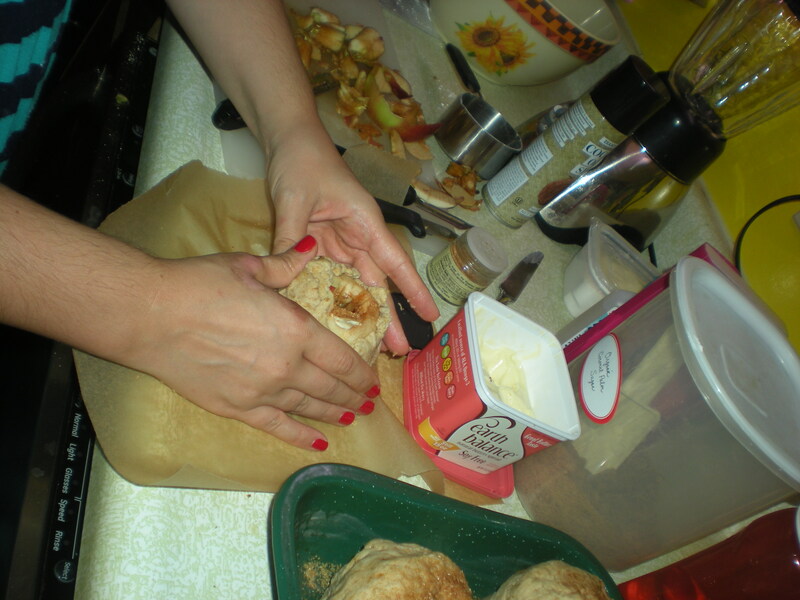 Taste Memories: Oh How I Love Thee Apple Dumplings! Remember the strawberry shortcake from the spring/summer? Well my mom would always make apple dumplings in the fall. I think she usually served hot dogs with them, but I could care less about the hot dogs. The tender apple incased in a warm buttery crust topped with a cinnamon sugar syrup and either ice cream or plain milk–that was what those wonderful meals were all about. This was one of the first things that I had to recreate when I went gluten-free/dairy-free about a year ago. Fall is just not fall without at least one serving of apple dumplings. I remember trying to make them the first time after I was married. My mom made a more then slightly labor intensive project look so EASY! The gluten-free version is much easier to handle then the regular version. Now that I’ve got your mouth watering let’s get onto the recipe! 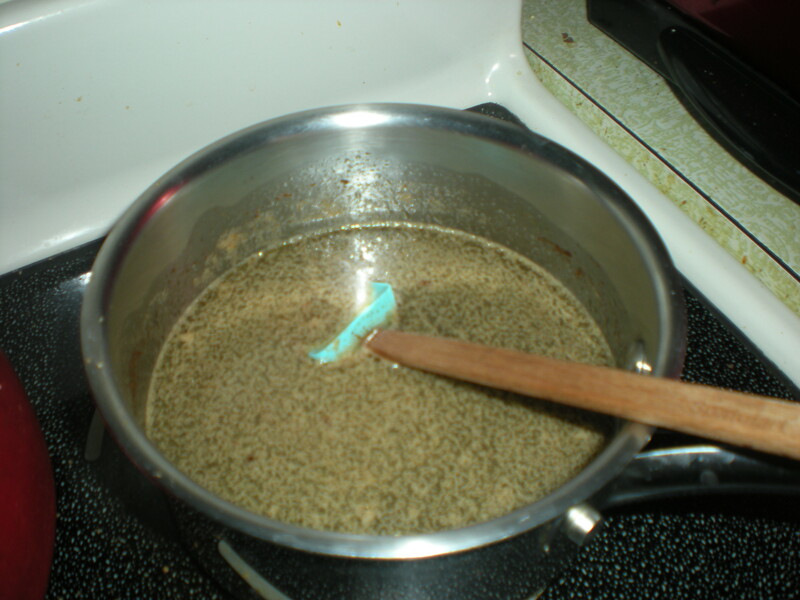 Start by mixing the syrup ingredients in a small saucepan on medium low heat. You want it to warm and reduce a little while you are working on the rest of the dumplings, but not boil or boil over. Mix the dry ingredients in a medium bowl. Add the earth balance/coconut oil and mix thoroughly. Mix in the milk until the dough holds together. You may need more or less milk depending on environmental conditions. Once the dough is ready to go, core and peel the apples. Place one section of dough on the counter and using your hands smooth it out until its flat. Place the apple in the center, place 1 t earth balance where the core used to be and sprinkle with cinnamon and sugar. 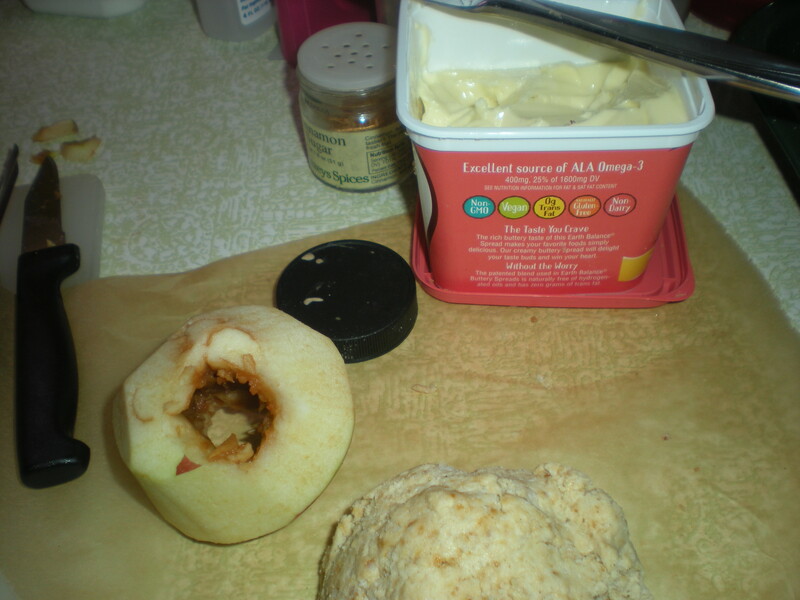 Bring the sides of the dough up and around the apple until it’s all wrapped up in a little dough blanket. 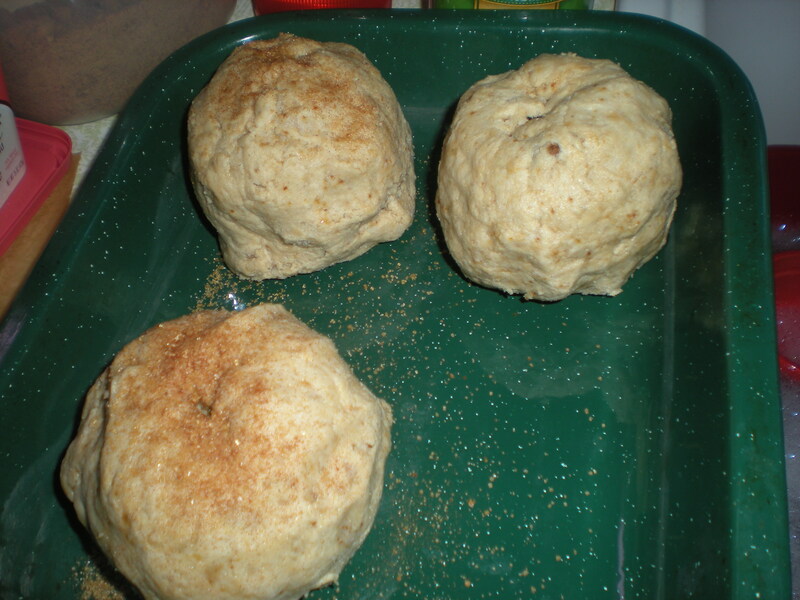 Place in a greased baking pan and sprinkle with more cinnamon and sugar if desired. Repeat with the remaining apples. Pour the syrup over the apple dumplings just before placing them in the oven. 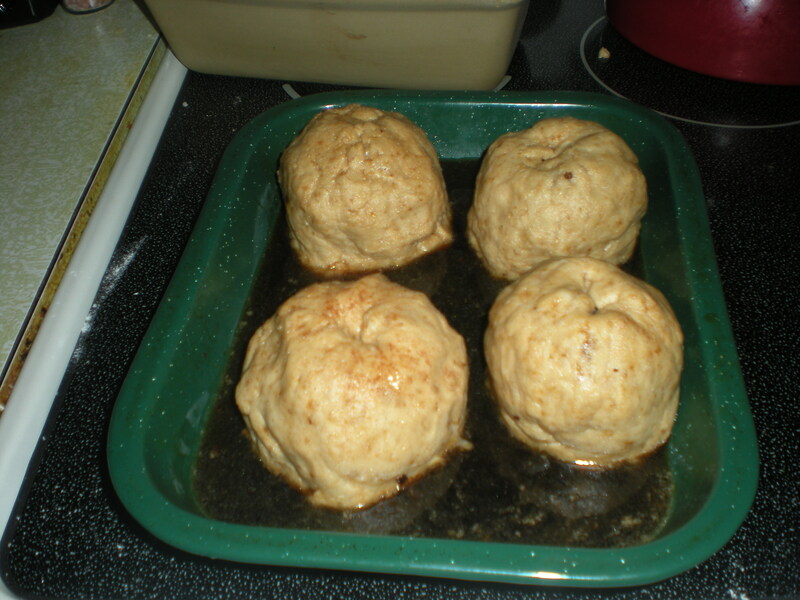 Cook the apple dumplings in the preheated oven for about 30 minutes. They are done when a toothpick inserted in the side goes in easily and the dumplings are light brown. The dumplings could get light brown BEFORE the inside is tender, so make sure to pierce the side to check and make sure the apple is tender. Serve warm (the best) or cold (still good!) with your favorite milk, whipped cream, or even ice cream. Serves 4-8. 1 apple dumpling is plenty for a full meal with a protein side, for a dessert you might want to cut them in half. Note: When I used earth balance/rice milk instead of coconut oil/almond milk things got a little sticky. Pay attention to when you are adding milk to try and avoid this or if you still end up with sticky dough use a little brown rice flour to make things manageable.